We know you’ve done your research, the hours upon hours of scouring Pinterest, Houzz, Blogs, Instagram and Facebook to find those amazing ideas for the perfect kitchen, bath or maybe master bedroom. But what about stair landings, owner entry, mudrooms, front doors and the other spaces that seem less important? Our new Discovery process allows for every inch of your new home to be discussed and thoughtfully planned with direction from professionals that are in the business of making your dream a reality? 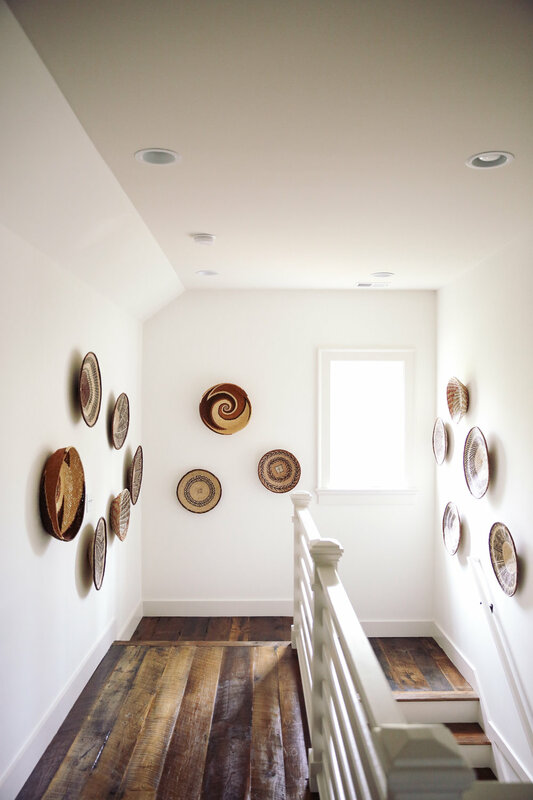 Mudrooms can be a huge asset in the functionality and livability of your home. It allows for all the unwanted “stuff” that sometimes can trickle into your living space to be thoughtfully put away in its own little space before it has a chance to invade your other rooms. Built ins, cubbies, shelving, desks, electronic stations, shoe racks, hangers, hooks, calendars, clocks and more can exist in this space and change your life for the better. Why not even give this space some pizazz with a funky light fixture or patterned tile? Enjoy this space by making it into the perfect happy place when you enter your home. Usually a wasted are of sq footage at the top of a staircase, so many times can be overlooked and underwhelming. Design can turn this around by making use of this wasted space in terms of giving it an identity. It can take on many different forms, such as a study area, quiet TV watching room, kids play room, storage, office, chill space. All of these can enhance the overall usefulness of your home. Front doors are often an afterthought, even though they are the first thing your guests see when visiting your home. Make it warm, inviting, welcoming, open, bright, light, dramatic and much more by choosing the right material, color, design and window combo. There are so many options and looks you can create with this one choice. Let our design team help make the perfect one a reality.